This is how my mother taught me to make applesauce. It is SO easy there is no recipe: nothing but apples! No sugar, no cinnamon, nothing to sweeten it or dilute the apple-y-ness. It is healthy, delicious, and varies in color from yellow to pink! 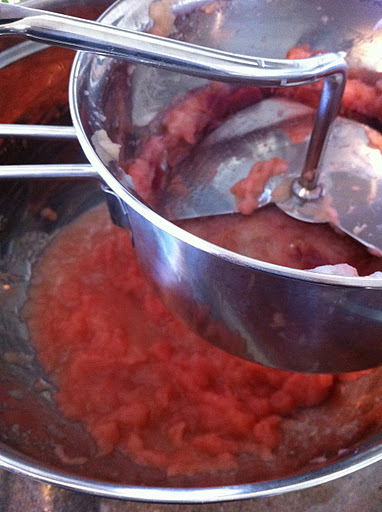 For perfectly pink applesauce like in the picture, pick apples that are (a) red and (b) sweet like Empire apples. Apples like Cameo come out old school applesauce color. The key is the Foley Mill. I have talked about it before – it is the only kitchen gadget my mother had in her kitchen – the Foley Mill is great for sauce, gravy, mashed potatoes, and applesauce. You have to get one. Core and cut apples. Leave the skin on! 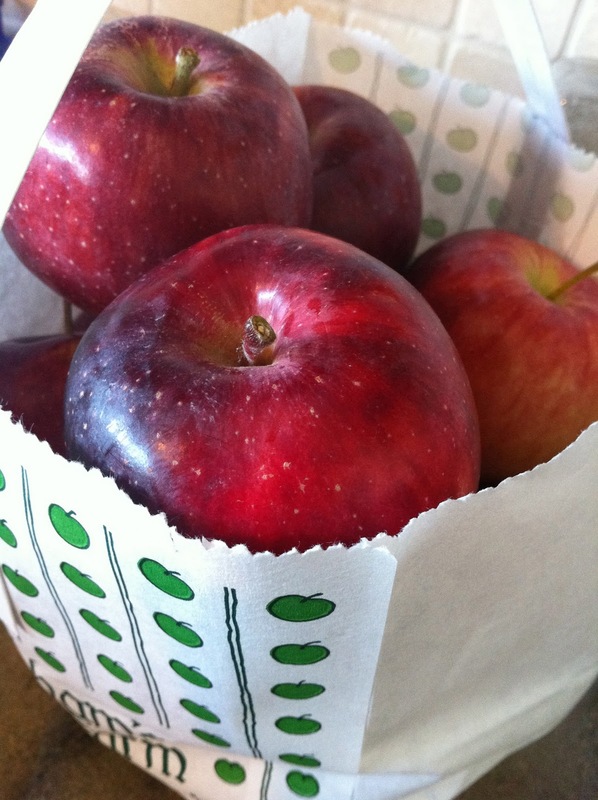 Place the apples in a pot and just cover with water. Cover and bring the water to a boil so the apples get soft. It takes 5 or 7 minutes. Keep an eye on them. If you can pierce them with a fork and they are soft, they are done. Pour the apples into a strainer to drain the water. Turn them out into the Foley Mill and “foley” them until you can’t “foley” any more. Voila! 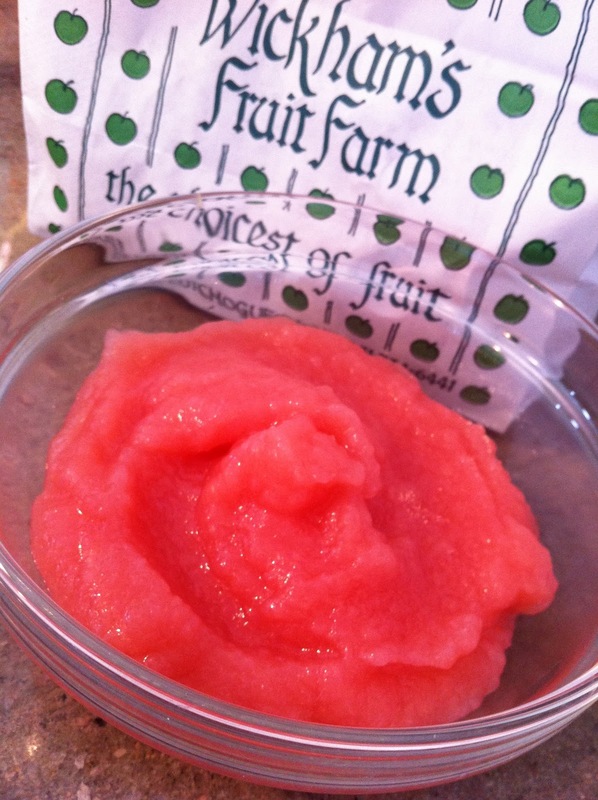 Pink applesauce! Use it on latkes, pancakes, toast, in baked goods, or just plain. It is great baby food. Enjoy!